The Liver Meeting will be held in Boston November 7-11 2014. Hosted by AASLD, it’s the largest worldwide scientific conference and forum for the exchange of state-of-the-art basic, translational, and clinical research in hepatology. ii | The Liver Meeting ® 2018 Program subject to change. Please confirm schedule in October through the meeting app or onsite in the Final Program. The Liver Meeting ® is held annually by the American Association for the Study of Liver Diseases (AASLD). AASLD is the leading organization of scientists and health care professionals committed to preventing and curing liver disease. Our membership is international in scope and includes all professionals dedicated to hepatology and patient care. 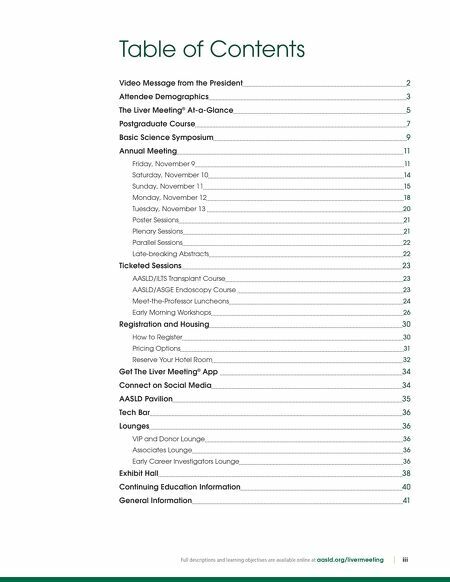 We invite you to join AASLD, collaborate with your colleagues and share our discoveries. 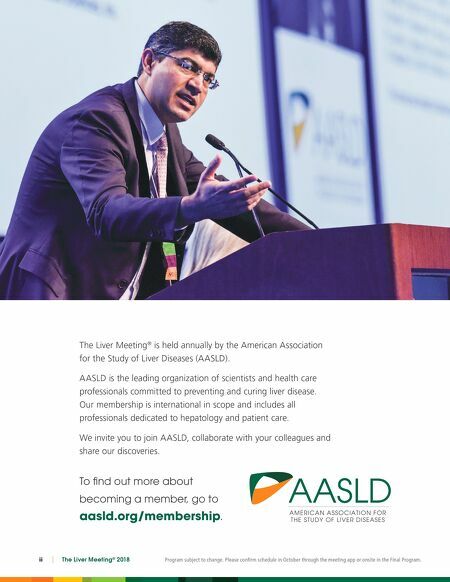 To find out more about becoming a member, go to aasld.org/membership.